UMX Mobile Phone Strap Supplies: Plain Mobile Phone Neck Straps with Detachable Connectors. We are leading manufacturers, wholesalers and suppliers of mobile phone straps with factory direct outlet low cost. A variety of selection of mobile phone strap material, colors or imprinting are available with different style of metal or plastic hardware attachments. We keep large quantity of black and gray color mobile phone neck straps in stock. Great Mobile Technology Produce Great Mobile Products. 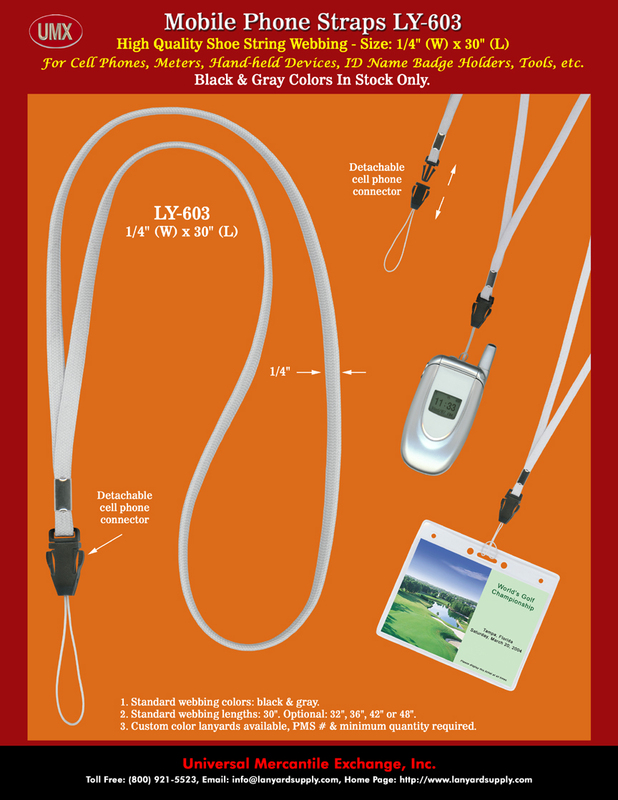 You are viewing Lanyards > Strap Supplies > LY-603 Plain Mobile Phone Straps For Neckwear.